Home > Small Business > Improve Your Office to Improve Your Business! Have you given much thought to your office environment? It might not seem like a massively important element of your business, after all- it’s only four walls and doesn’t affect the work that’s being done, right? Wrong! 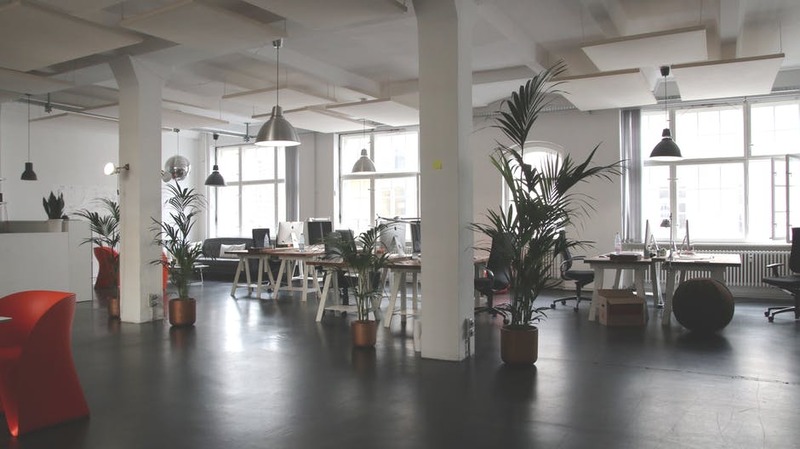 Your office can massively affect your worker’s productivity and motivation, plus the right space will make a good impression to any customers or clients that come in. 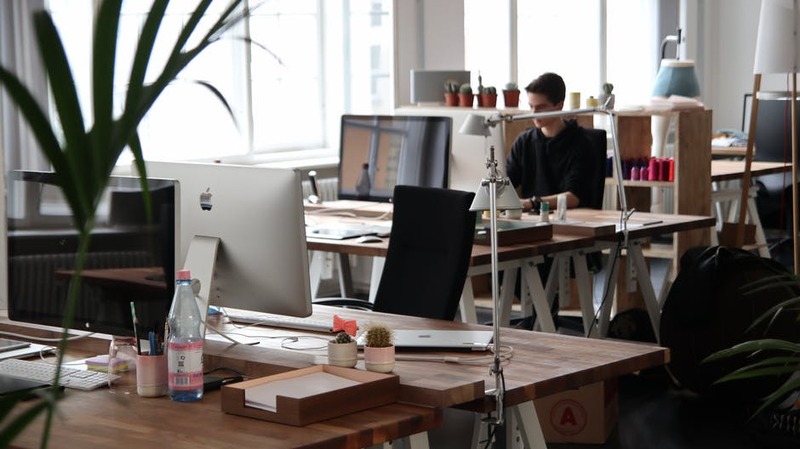 There many benefits to spending the extra on a modern office and keeping your workers happy, so whether your looking to a place to rent, want to renovate your existing office or even build something from scratch there are a few things to bear in mind to get the best result. Read on for more information. Before considering the building or office itself, you first need to think about the area. A central location is suitable for many businesses; it’s easy to access for customers, clients and employees. However renting or buying in a town or city centre doesn’t come cheap, and so for some types of businesses, you might be better off going a little further out- particularly if you don’t rely on foot traffic to make sales. Just make sure there are suitable transport links, and that employees who don’t have a car can get to the office using public transport. Choosing a secure, well-lit location will also help to reduce your chances of being targeted by physical crime. Burglars like office blocks as they’re usually empty after 6 pm and contain lots of expensive equipment such as computers, printers and other tech that’s quickly sold on. If you’re on a low floor or the ground floor, sliding window shutters can be useful. These can be slid open during the day, so it doesn’t feel like you’re working from a prison! Using a safe, that’s securely bolted down is another thing implement in your office, although ideally you will have regular cash collections and will never have too much kept on site. Of course, you still have to be wary of cybercriminals, which is why it’s worth using a business records management company. That way your records are stored in a secure, off-site location, so they’re not vulnerable to criminals, fire or floods. But regarding your office, it’s important to keep it as secure as possible, and choosing the right location from the get-go can help with this. Daylight has been proved by psychologists to be a natural mood booster. It goes without saying that when your workers are happier, they will work harder and do better work. You might be under the impression that as long as your office is well lit, it doesn’t make much difference how much daylight comes in, but this isn’t true. Natural light is far better and releases happy chemicals in the brain and it’s also better for the eyes- so less headache and eye strain. Make the most of the natural light you have coming into the office. It could be a case of moving to an office which has large windows, but if you own your office building you could consider having the windows extended. In some cases it could simply be a case of switching up the blinds that you have up to allow more light to come in. Changing the layout is an easy way to solve the problem, make sure that desks are positioned next to windows so they can benefit from the natural light. On top of this you will also need good overhead lighting to supplement what comes in naturally, using daylight bulbs instead of dim fluorescents can help with migraines and eye strains. If your old lighting system isn’t up to scratch, have a commercial electrician come in and put things right. New fittings, the right bulbs and of course a safe electrical system are all important. On top of getting plenty of natural light into your office, you should think carefully about your decor too. Decorate in light, neutral shades which will not only look smart and professional but will bounce around light in the room making it look brighter, more spacious and more pleasant. Even if you’re renting you will be able to give everywhere a fresh new coat of paint. Have everywhere professionally cleaned, and switch up things like wall decor, pin boards and more to provide new information and to make things more interesting. According to research taken on colour psychology, blue makes people most productive and has a calming effect on humans. For this reason, adding some blue to your office could be beneficial if you wanted to bring in a bit of colour. Plants are another way to decorate your office, again psychological studies have shown that plants can boost mood and productivity in the workplace. It’s cheap and easy to do, and you could even encourage workers to bring a plant of their own to put on their desk, something that they really like the look of. Add a few around larger potted plants around the office and it will break up neutral decor and look nice from a decorative perspective too- as they add colour and texture. There are lots of types of business equipment and computer programs and software out there which you can take advantage of to make your business flow better. Its worth investing in the best equipment and technology in your office that you can afford, this is because modern tech allows you save money since you need to hire fewer workers. It also means that the employees you do have are being put to their best use, without the need to sit around doing tedious manual work that a computer can do in seconds, and for free. There are all kinds of incredible software out there these days which allow you to automate areas of your business as well as save time so do your research, work out what will work best for you and read plenty of reviews. Regarding physical items in the office, good chairs are essential for the health of your employees. If you have workers who spend long hours at a computer, the wrong chair can lead to back and neck problems and even wrist problems. Spend a little extra on chairs that are comfortable and supportive. A good chair will offer adequate pelvic and lumbar support and cause less stress and tension to the back muscles. Making sure your workers are comfortable and well cared for is important. We all know that office jobs are pretty sedentary, there’s not much chance to move around when you spend most of your work day sat at a computer. This kind of inactivity can be so bad for employees, with desk jobs increasing the chances of obesity and all of its related ailments, which include high blood pressure, heart issues and diabetes. It can lead to reduced mobility, lowered fitness levels and generally have a negative impact on health overall. As an employer, unhealthy employees aren’t great news for you too, as they’re more likely to take time off sick. Consider using standing desks, under- desk exercise equipment and even installing things like office golf or a pool table in the break room just to get people moving around a little more. Getting employees up and moving in some way is beneficial, plus it can reduce stress and the restless energy we can all feel from being seated all day. Even your best employees can find it difficult to cope with being stuck in one position for most of the day. A social room in your office can be very beneficial, it gives employees a place to sit on their break and lunchtimes as well as before work waiting for their shift. With a comfortable room to sit in, workers won’t have to leave the premises for every break so it’s far more convenient, plus it can also help with socialisation which in turn can promote better teamwork. Companies spend huge amounts each year on team building events because they’ve been shown to be effective- businesses need workers who work well by themselves as well as with others. So on top of these kinds of events, simply giving them a space where they can chat and get to know each other can be really useful. Make it an area where workers are happy to spend time, a kitchenette with some facilities like a microwave, kettle, toaster and fridge means they prepare their own hot food, instead of having to eat cold lunches or resort to going to the local cafe, chip shop or fast food joint. A coffee machine, some comfy seats and tables are all good additions too. Make it a relaxing space where they can unwind and clear their head during breaks, this can lead to better focus when they return to work. What steps have you taken to improve your office? Have you noticed better productivity since making these changes?